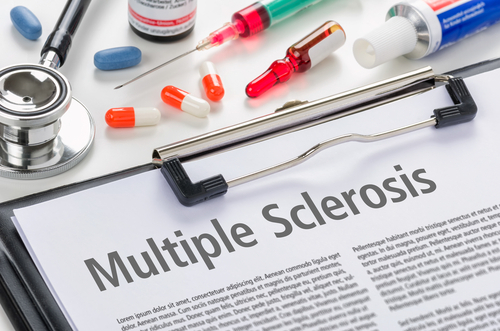 MS does not remit and the out-dated term causes many people to delay taking medication, says Dr Patricia Coyle, Founder and Director of Stony Brook’s MS Comprehensive Care Center. Now, that is peculiar for a disease that is divided into different types, with the most people with MS having the Relapsing Remitting variety. This week I caught up with Dr. Coyle and put this conundrum to her. She explained: “RRMS is the major type and the one in which, between relapses or attacks, the patient appears to recover completely and is absolutely stable but it is wrong to say it stops. “In reality, the disease has not stopped at all but continues to cause ongoing damage. It goes on silently damaging the tissue of the central nervous system. To what, I asked. “Relapsing MS is a better title,” she said. And I think she is right. That name says that you have MS all the time but at certain times you will have relapses, when you will get worse. “This disease doesn’t burn out, it does not remit; let’s call it Relapsing MS,” she added. But how do we achieve that change? It may be a long road but Dr Coyle suggests that it could start with the National MS Society in the USA. From there, I see it going to the International Federation (MSIF) and to MS societies and associations throughout the world.